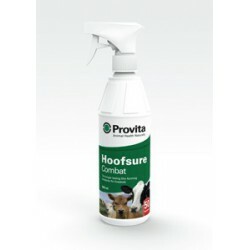 Provita Hoofsure Combat is a unique film-forming spray containing tea-tree oil and organic acid providing persistent longer-lasting activity. 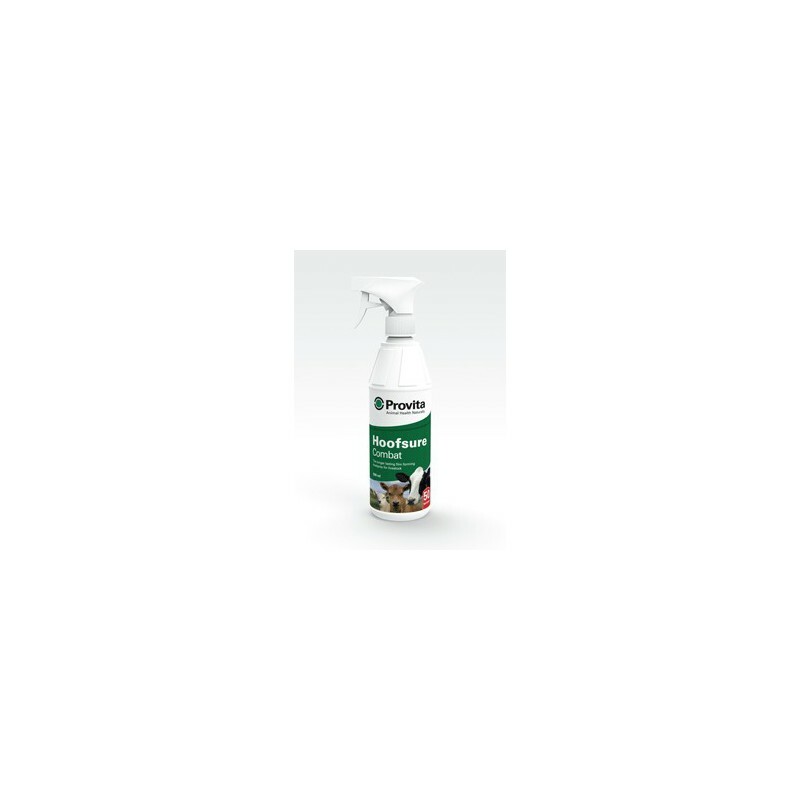 A unique film forming spray containing tea tree oil and organic acid providing persistent longer lasting antibacterial barrier for hooves. Combat should be used for spot spraying in parlour or during hoof trimming. Its waterproof, breathable film promotes natural healing. For use in sheep, cattle, horses and goats. Ideally should be used as part of a regular routine footcare programme. Dairy cows – Apply as needed every milking for up to 7 days. Can be used after hoof trimming. Sheep – Apply as needed every two days for up to 7 days. 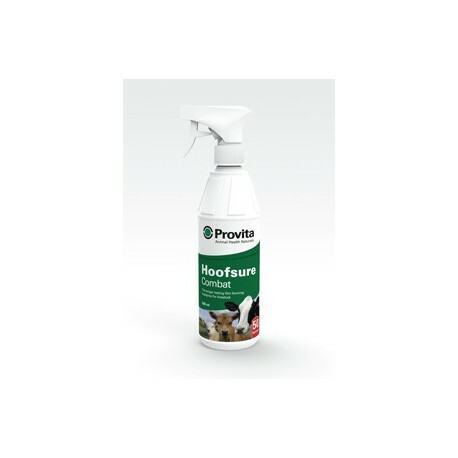 Can be used after hoof paring.